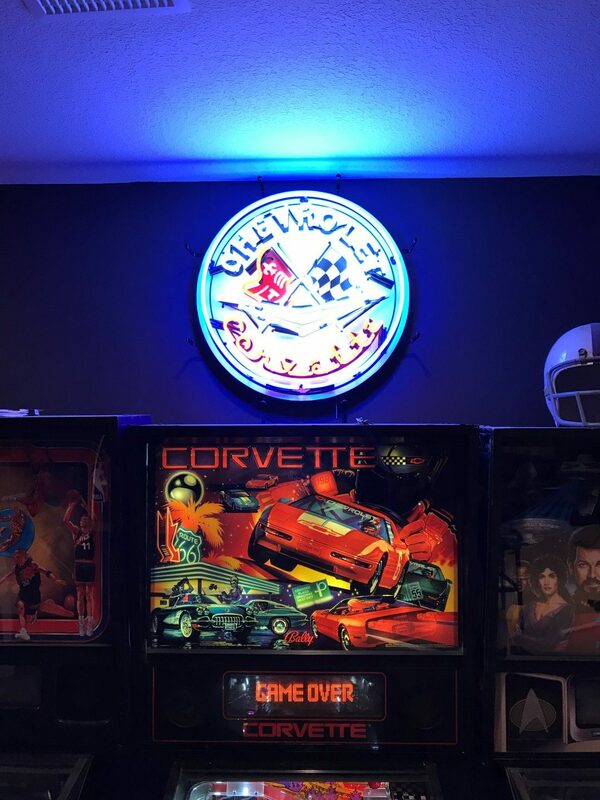 Around the same time, I was also able to finally reaquire my old Corvette pinball machine that I owned for a couple years before lack of space forced me to sell it. If you’re looking for an underrated game from the 90’s, Corvette is one of the best ones you’ll find. Good flow and shots, good rules, lots of combos, etc. Here’s a picture of the neon turned on above the pinball machine. 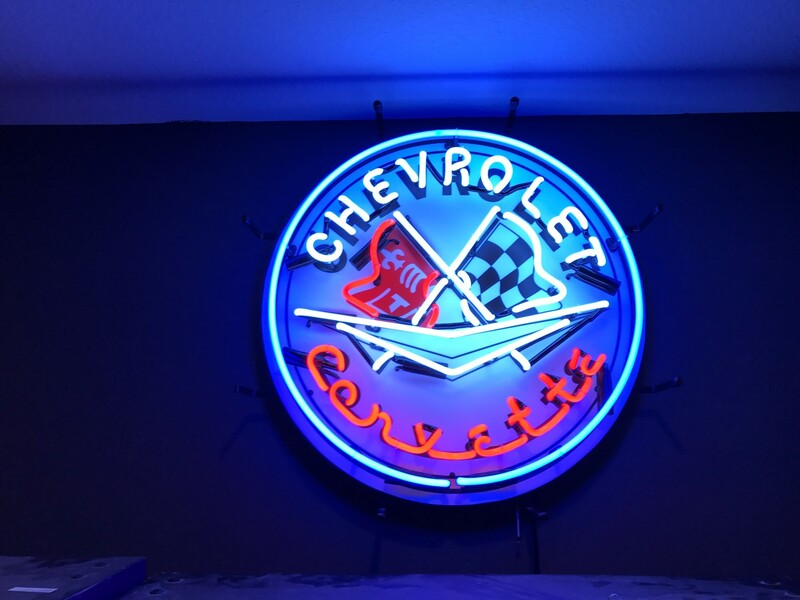 So where can you acquire this neon sign? I got mine off ebay for around $300. The one thing you have to be careful of is that some of the signs are slightly different even though they look the same. Some might be slightly smaller or missing a little neon that others have. Mine is 24″ is 24″ for reference.